AAPSE has two charters. The latest was signed by members during the 1993 New Orleans PACT workshop. That charter is the one we have always shown the membership. 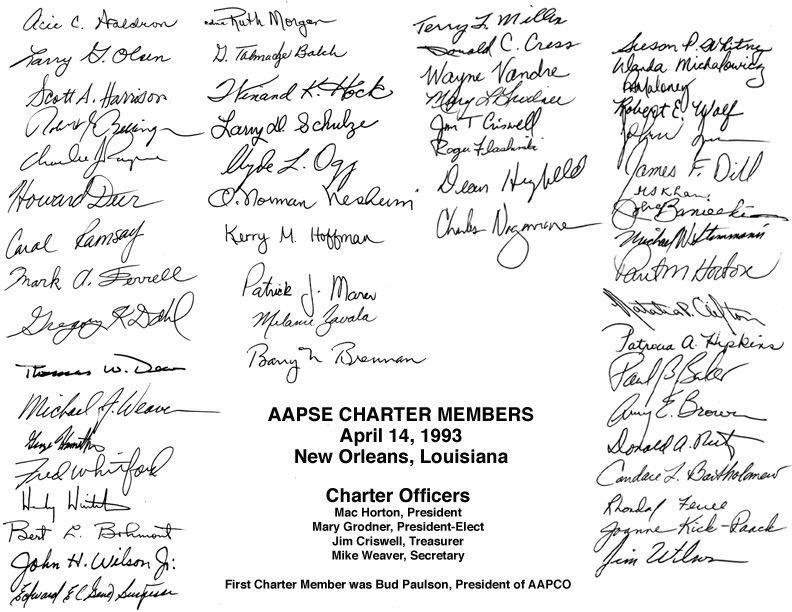 But two years earlier, eventual AAPSE members signed a charter developed to establish an organization of pesticide safety education specialists. In this case it was an Extension organization. Here are the two charters.